Tickets for the 2019 event are now available! Saturday, March 30th, day two of this amazing celebration will consist of a Public Wine Tasting & Grand Auction open to the public at the Ramada Plaza by Wyndham Omaha at 3321 South 72nd Street. Starting at 5:00 pm, attendees will sample wines and hors d’oeuvres, and bid during the silent auction on a vast selection of gift-items and wine collectibles. Guests will be able to purchase a bottles of wine in our Mystery Wine Pull. The program will commence in the main ballroom at 7:00 pm to include a live auction with spectacular vacation get-aways, items from our participating vintners and other one-of-a-kind offerings. Metro Magazine’s readers have voted vinNEBRASKA’s wine event “Best of Omaha for Food & Wine Event.” It’s the best wine event in the region! 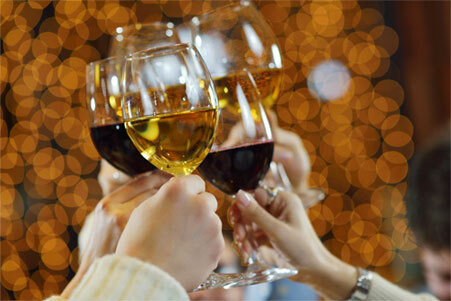 Enjoy meeting winemakers, winery owners and representatives from the wine industry while sampling their fantastic wines! Scroll through a vast array of unique action items. Get ready for the Grandest of Auctions! There are many wonderful items ranging from valuable vintage wines to hand-crafted items and vacations that are sure to please! $1,350 Table Sponsorship (charitable deduction $1,150): Includes one table of ten for premiere wine tasting and grand auction with recognition as a table sponsor. $1,500 Bronze Sponsorship (charitable deduction $1,300): Includes one table of ten for premiere wine tasting and grand auction, recognition on vinNEBRASKA and Omaha Public Schools Foundation websites and mobile bidding site; plus a quarter page ad in the event program. $2,500 Silver Sponsorship (charitable deduction $2,300): Includes one table of ten for premiere wine tasting and grand auction, recognition on vinNEBRASKA and Omaha Public Schools Foundation websites and mobile bidding site; plus a half page ad in the event program. $5,000 Gold Sponsorship (charitable deduction $4,600): Includes two tables of ten for premiere wine tasting and grand auction, recognition on vinNEBRASKA and Omaha Public Schools Foundation websites and mobile bidding site; plus a full page ad in the event program with preferred placement and acknowledgement during announcements. Tickets Are No Longer Available!